I know, I know. I don’t wear black. And I certainly don’t wear leather skirts. 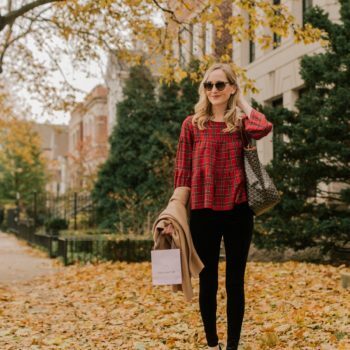 I realize that this outfit is a little “off-brand” for me, but it’s one of my absolute favorites during the fall. Some friends at French Connection gave me the leather skirt years ago, and I wore it whenever I felt like an imposter at events in New York. ;) It really got me through, haha, and it remains a go-to. (Similar leather skirts here, here and here.) Of course, it’s short, so I only wear it with over-the-knee boots, which Mitch says are “basically pants and why not just wear pants?” But you know. Fashion, Mitch! 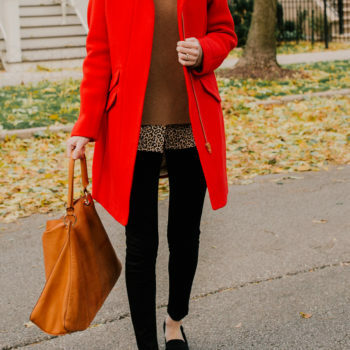 While I don’t think I’ll ever be in head-to-toe black, I love mixing black with camel, browns, tans and leopard during the fall. Classic and fool-proof and quick and easy. 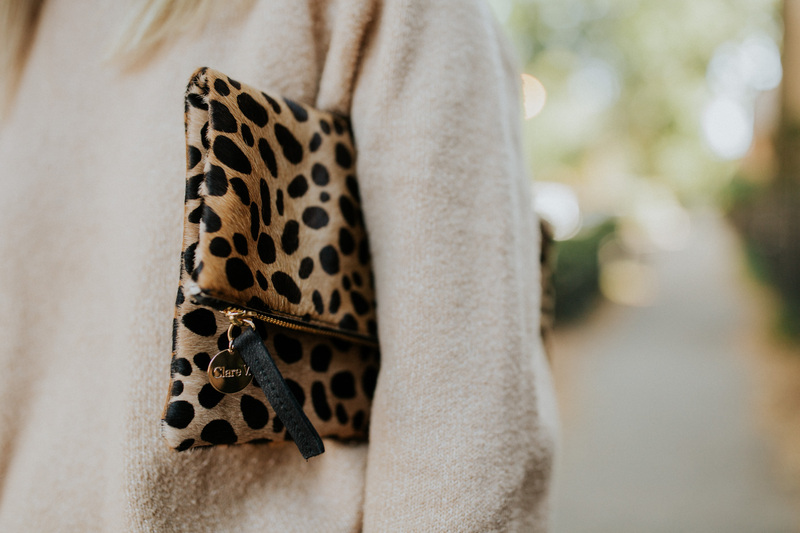 You can also check out my Shopbop Sale “What to Buy” post, as well as the roundup post that Mitch wrote the intro to. Tonight, we’re staying in and watching “The Big Sick.” I’m SO excited. We haven’t had a night alone together in a loooong time, and we keep hearing that the movie is awesome. What are you doing this weekend?! Be sure to tune in tomorrow for a fun post that Mitch and I wrote together!